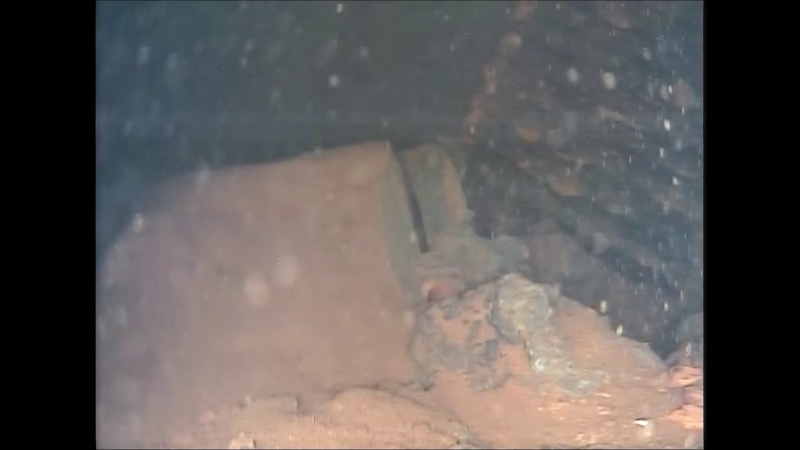 TEPCO released two videos days after inspections inside unit 3 took place. These videos along with the related still images can be found here. The two newer videos provided some additional interesting information. Commentary in line between the images. 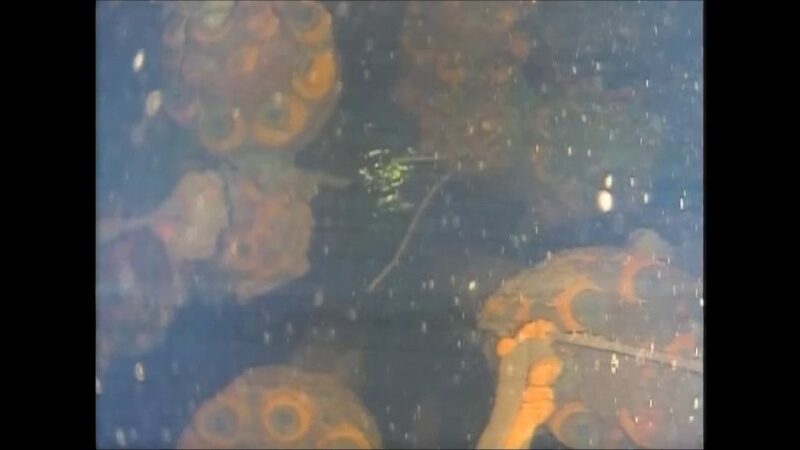 The image below shows some of the unexplained “blobs” up close. The thickness of some of these adhered substances is clear in this photo. 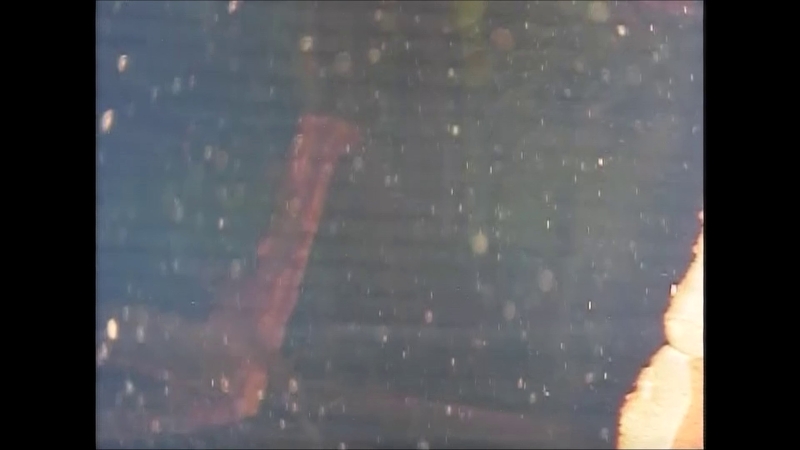 In the center of the image below, what appeared to be flowing water can be seen in the new videos. This still image shows the general location of this water flow. 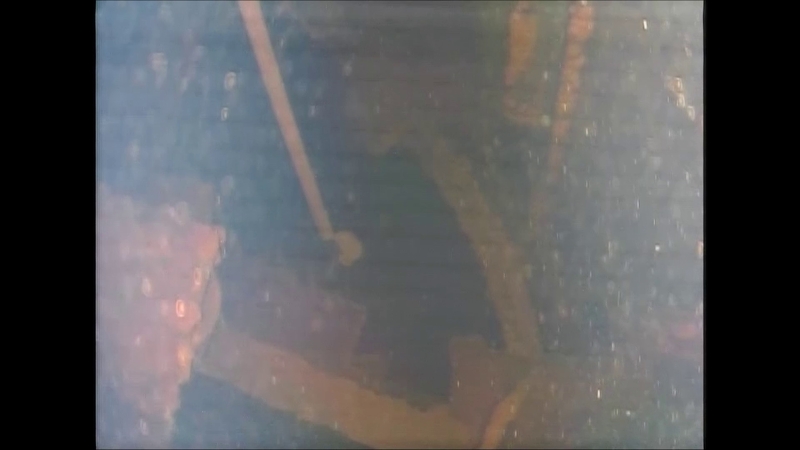 This angle is looking up at the lower ends of the control rod systems as they are located below the reactor vessel. The image below shows a curved metal track. Two of these exist in the lower pedestal region. One near the floor of the pedestal and another roughly what would be overhead or about 2 meters off the floor. Spalled concrete can be seen in the image below. Sections of flaked off concrete and also pitted and disintegrated sections can be seen. Both are known types of concrete spalling as seen in fires. Another image of the same general area (below). A portion in the lower right of the concrete wall appears to be peeled up and may be part of the concrete spalling process. The image below shows the bottom end of a control rod (right side threaded rod) and more of the thick adhered substances. 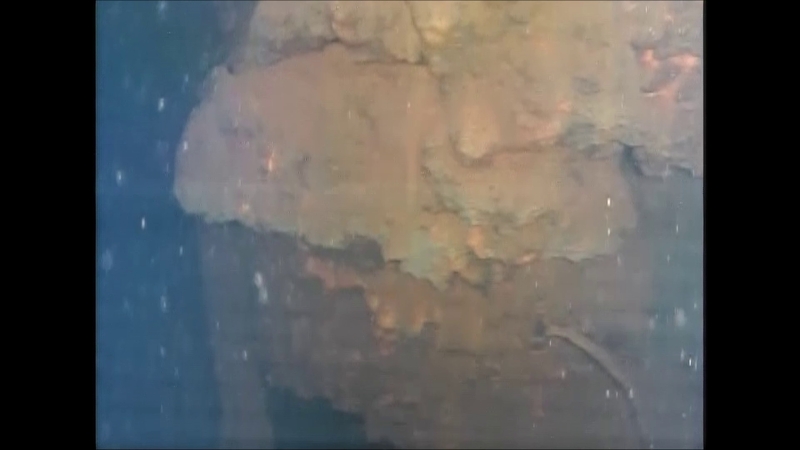 Severed hydraulic or sensor lines can be seen in this area. 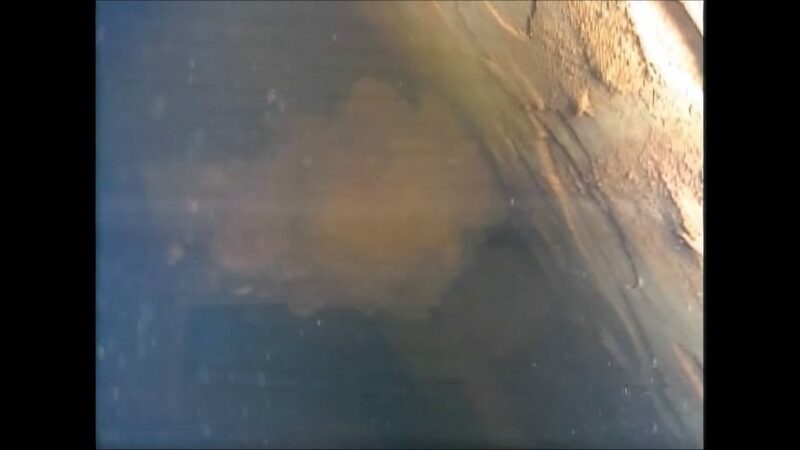 The image below is a close up of a melted fuel formation. It appears to have some form of fine sediment. This could be a fine grained form of fuel debris, glass type sediment or other fine sediments such as from degraded concrete or corrosion. 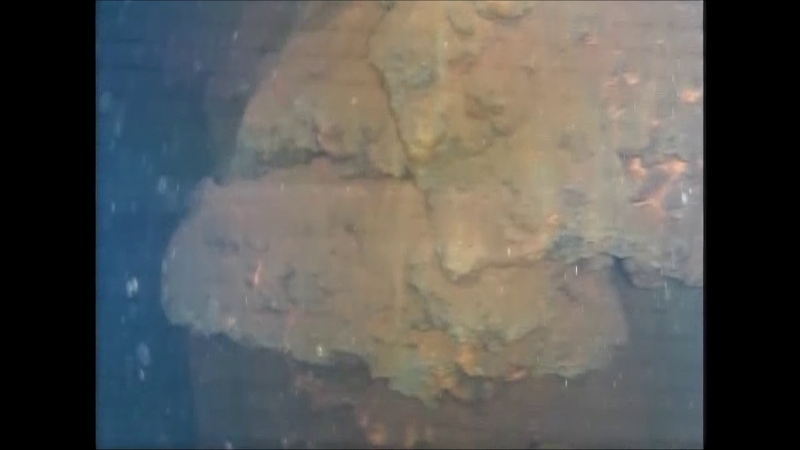 The same fuel debris formation (below) shows what appears to be a metal platform below it. 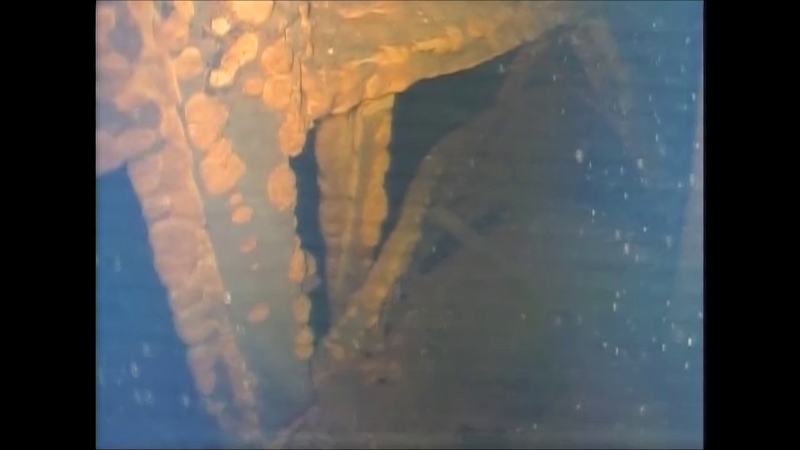 The same formation with an even lower view shows what appears to be a platform and a steel leg. For a corium formation to not melt through the platform or collapse it, the fuel would have had to either slowly fall in small amounts then cool or this area was submerged in water at the time the corium fell to this location. This was an unexpected finding. Most assumed meltdown behaviors consider structures that come in contact with the newly melted fuel would quickly heat and melt into the mass. 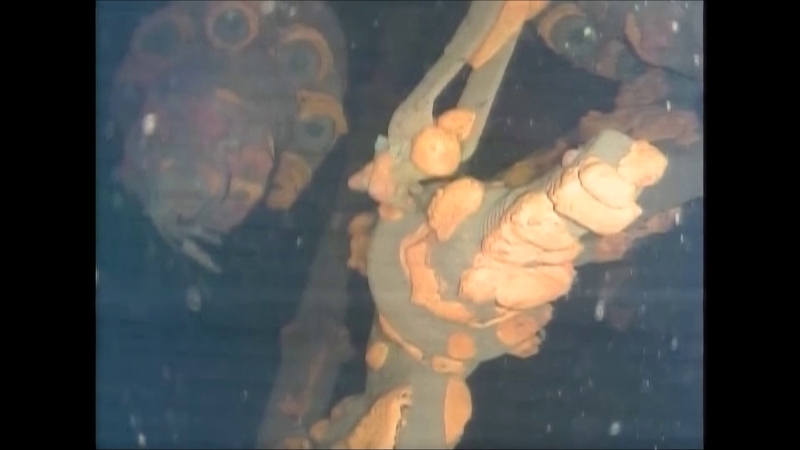 The view in this image (below) looks upward at the control rods that reside below the reactor vessel. The lower end of a control rod (threaded rod) can be seen with what appears to be solidified melted fuel around it. TEPCO later announced they think the graphite gaskets that seal the control rod holes in bottom of the reactor vessel melted allowing molten fuel to flow through these holes and drip down into the pedestal. These structures in the pedestal show some of the patterns created by the thick substances that appear to have splattered around the containment structures. 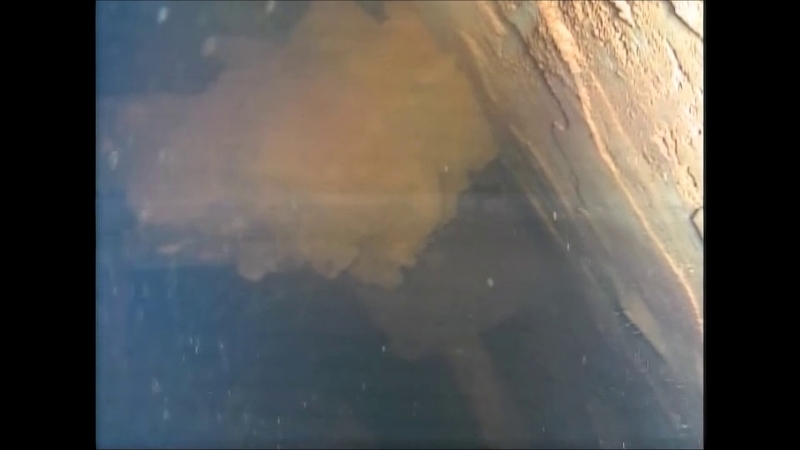 The lower right corner of the image below shows a close up view of these thick substances. Fallen equipment in the lower pedestal covered in fine debris or sediment. 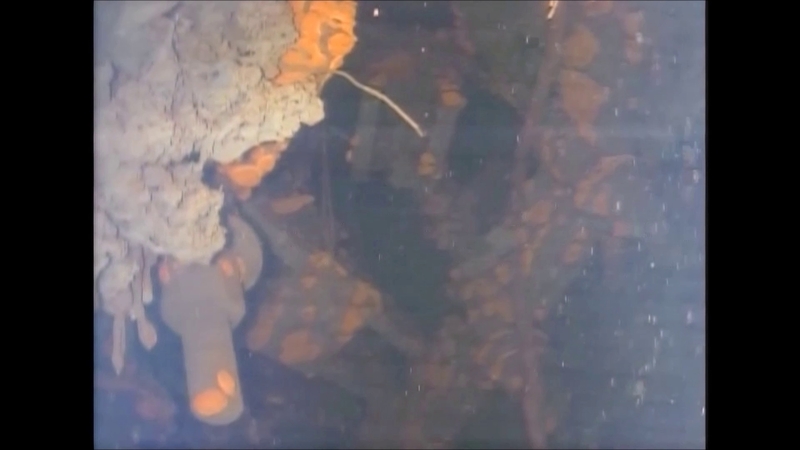 TEPCO cites 364 tons of fuel debris (melted fuel, internal reactor parts and control rods) to be expected at unit 3. 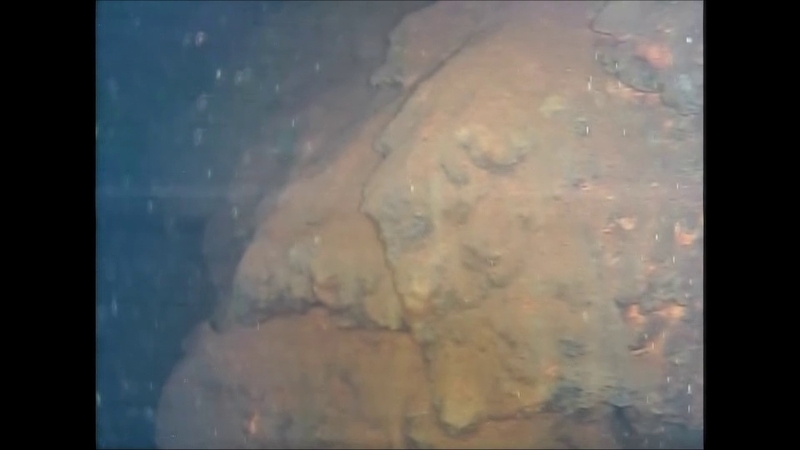 The videos and images only show very small views of the damage found. 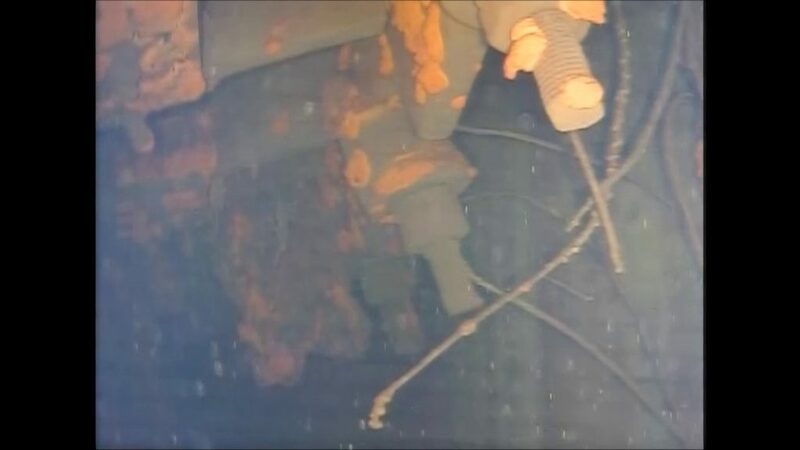 Without wider context of panorama images or unedited video this makes it extremely difficult to determine how much fuel debris was actually found inside unit 3’s pedestal or the configuration of how it had fallen.